Last month was a total blowout, our best month in company history! It’s so cool to have such an incredible team. I’m so thankful to the Lord for His grace, to the team for their excellent attitudes and service, and to each one of our amazing clients. We believe you are unique and deserving of exceptional care. It really is a pleasure serving the cleaning needs of the Walla Walla valley. Download Your $25 Voucher Now. Enter your name and email for instant access to your $25 voucher good toward any of our cleaning services. It's our gift to you. Clean 'n Dry provided such awesome experience a couple years ago (both with technical skills and communication) that I used them again this week. Although I haven't seen the results this time around (this is for a rental property), I have complete faith the work was done to the same high standards as last time. They were also able to accommodate a time-sensitive request. Two thumbs up. Clean and Dry has been my reliable cleaner since the inception of the local company. Matt cleaned a carpet after a tenant left a house and it was so bad I thought it would have to be replaced. That was several years ago and the carpet is still good to go. Work is done with a cheerful spirit, thoroughness is standard, and the hardest jobs are done. Can't say enough good about the service Clean 'n Dry provided....they were on time and very professional. The carpets look fantastic. Would recommend this business over and over. I was so Impressed with Oscar and Zander! I thought I would need new carpet, but they made it look brand new!!! I highly recommend this team! They were all courteous, professional, friendly, and did a fabulous job! Outstanding!!! 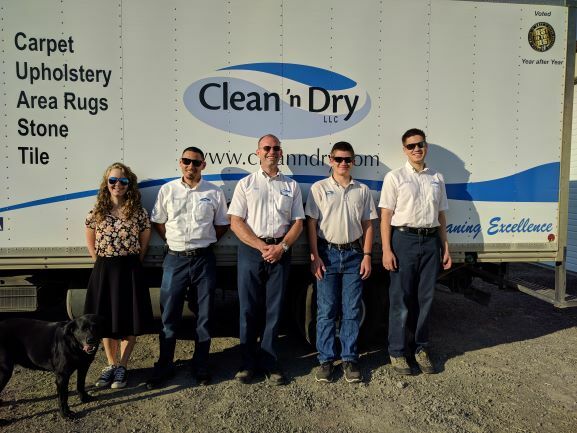 Clean 'n Dry LLC is the most professional service I have seen since moving to the area. They came at very short notice to clean my hallway and did the job in no time at all. 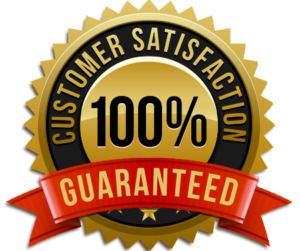 I am super pleased with the service and will use them again and again. Thank you for a job well done and a "sweet deal". Exceptional customer service and professionalism. They did a great job explaining their services, asked lots of questions and answered ours. Oscar, in particular, was very personable. Thank you for a job well done! They did an amazing job!! So clean, way beyond my explanations!! Great job, awesome people. Highly recommend!!! This is a must have service at least annually if you have pets! They are so great, from the office staff to the on-site professionals, and they excel at stain removal. The "black light" process which highlights the stains you thought you had out, for a special pretreatment makes all the difference. Matt and his team are super friendly and they do a superb job. It's actually fun to have them in the house, they love their work so much and want to do such a great job for their clients. HIGHLY RECOMMENDED! Matt and Oscar did an amazing job on our office. They are wonderful people, very polite and professional. So glad we called them! Side note: I need to have them do my house next! I can't wait to see how much cleaner my carpets will stay with my Rainbow once they do a great clean with their equipment! Great group of people to work with. They are always willing to go out of there way and do the job right the first time.